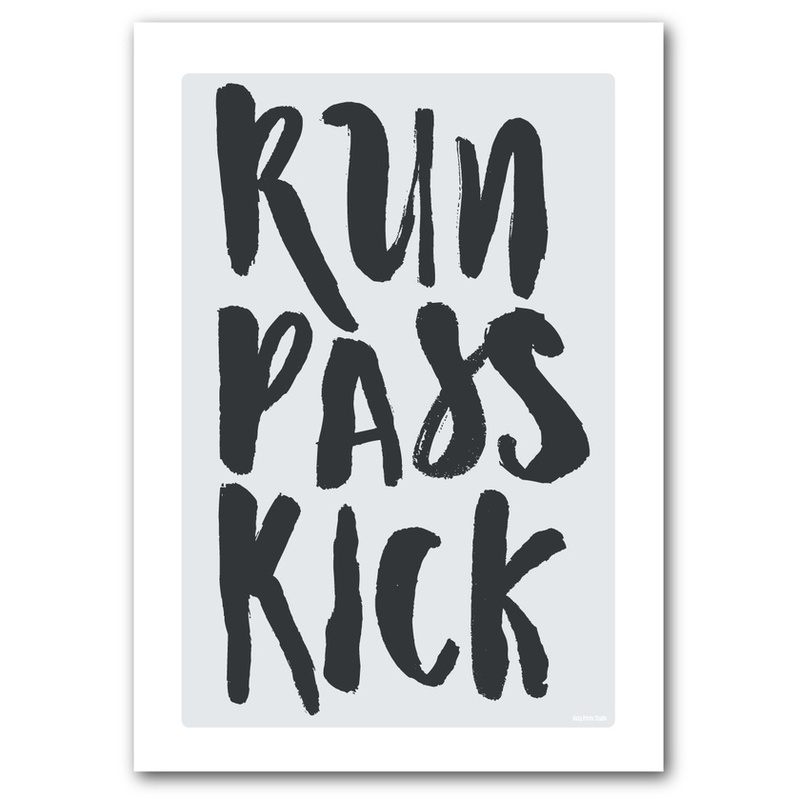 Run Pass Kick print by Hazy Prints Studio. Printed on satin smooth card this modern typography print is available in a range of sizes. Please note this listing is for A4 - if you would like larger please ALSO select the relevant 'print size upgrade' listing from my store.